As I've admitted a few times, I have a problem with not dealing with problems in a timely manner. Boxes belonging to other people clutter my house. I let rats poo all over my garage for weeks before I do anything about it. My bathroom has crossed from unclean to oh-my-god-what-is-that disgusting (which, by the way, I still haven't cleaned). How did I get to be this way? How did I come to be comfortable with so much filth? The answer is not obvious; the home I grew up in was usually clean and dust free, if not entirely orderly. My mother can often be found stalking the house with a dusting cloth and squirreling away clutter. I have no memory of ever stepping into a dirty bathroom during my childhood. Yet, this week -- as I'm staying with my parents in the house where I grew up -- I discovered something. Despite my mother's overt cleanliness, she, too, has a certain inclination towards the disgusting. 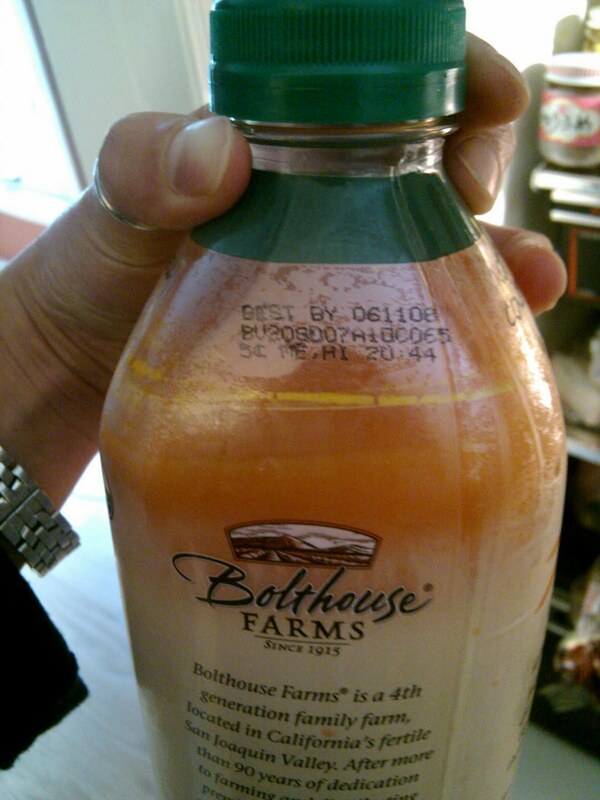 For reasons unknown, my mother likes holding on to open yet barely used highly perishable foods for years. 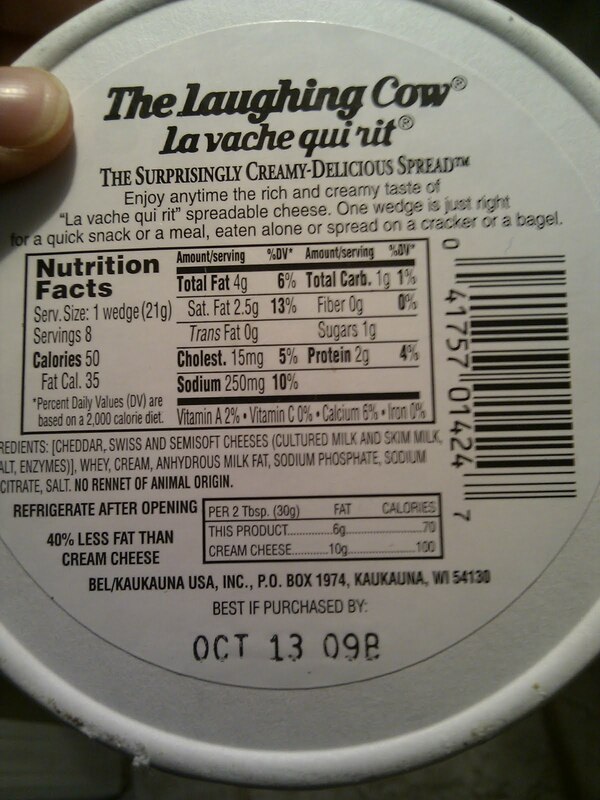 This is carton of cheese wedges. 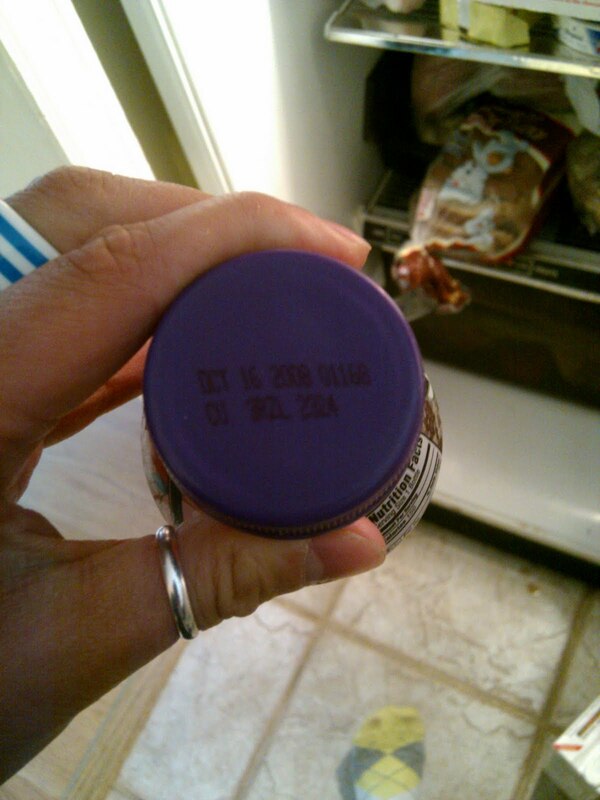 According to the label, it was best until "October 13, 2009." This is a bottle of "Organic" carrot juice that was best before June 11, 2008 -- just over two years ago. 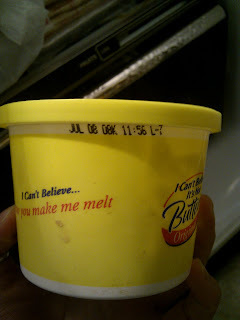 This tub of margarine stopped being good on July 8, 2008. 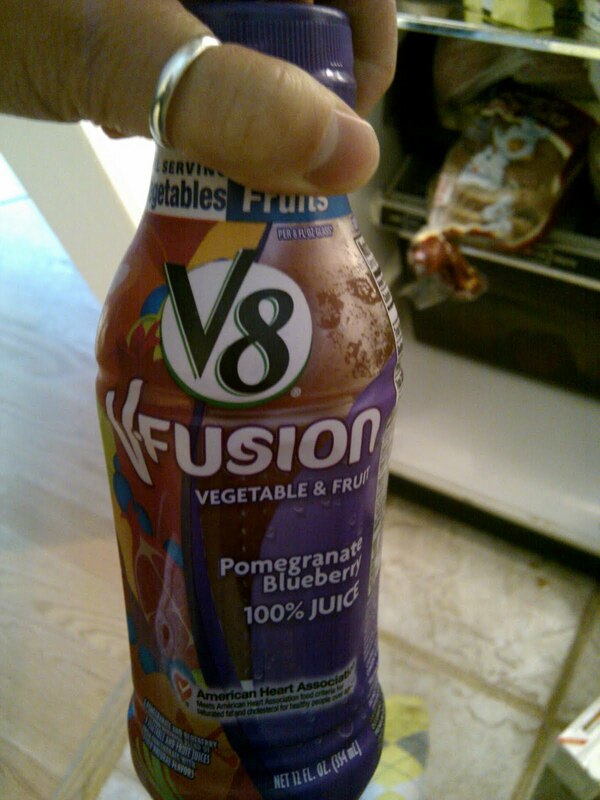 This V8 Fusion juice spoiled on October 16, 2008. Your parents may be taking the approach I take -- things that smell should stay in the fridge, where the smell is contained. If you wait long enough, someone else will get fed up and clean it out for you. 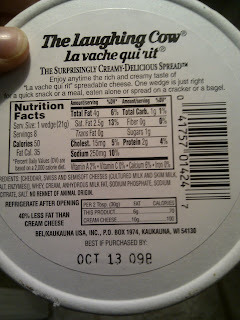 Well, to combat that moral hazard, I actually left the offending items in the fridge.